Jane was captured when making an escape with a person known to Kadir. Haji Khalik’s world went upside down due to Kadir’s involvement in something illegal. Though due to good will of Haji Khalik, influence of Mr. Narayan and generosity of the DIG of the area make reliefs for Haji and his family to remain detached from the case. As Jane was not captured from Kadir’s houseboat it is a thing in favor of Haji and his family. Ahmed, Second son of Haji, however was in the progress and hope in his business venture. He informs Haji that this time the season of apple seems promising to him and they may earn a good amount of money. When asked by Haji about how the money was arranged for the stuff and why not discussed it with himself before starting the business venture, Ahmed explains the stuff calmly. He said that as the last year the business venture was turned into a loss, he didn’t want to add to Haji’s worries. And for financial arrangements, he borrowed some money from Zuni his wife)’s father and some from a couple of fellows, but nothing to worry. He also explains Haji that the tourists are visiting in the pick time of the year, which is the 4 months of business season for them in the entire year. And they almost sit idle the rest of the time. So why not to try earn some extra money and finding diversified sources of income. Haji’s wife also find the thoughts convincing and so do Haji himself. But at heart Haji didn’t get the satisfactory feelings. He was also at relief due to the help made by his servant Razak. Though Razak’s responsibilities are increased but he is a good support to Haji. Haji worried about Kadir, asked Kadir’s wife to cheer him up and get out of depression. She need to implant some positive thoughts in him so he can again concentrate in life. And she was eagar to do so. So what will be Kadir’s fate? Will he be able find the correct path now? Will he be able to see the dangers in the short-cuts he took? As due to departure of some visitors Haji was worried and keen to get some new visitors as well. Will he be able to find them? All this stuff is answered when you watch the episode. 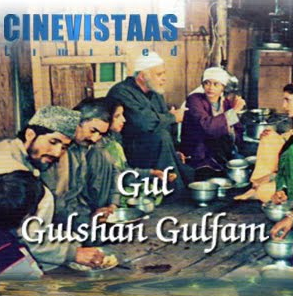 We must say Cinevistaas done a good job by bringing this nice and genuine TV show back to us. Though video quality is not as good as one is used to see nowadays. But who cares? Once the content is good, everything is good. And the simplicity and authenticity are the strongest pillars of the TV serial without a doubt. Parikshi Sahni, Radha Seth and Pankaj Berry are top performers. Others are not really convincing (apart from a couple of guests like RajaSahab). The background music and visuals are positive factors of the TV Serial. And yes, the little kid who Haji Sahab is teaching how to do boating is very little Kunal Khemu (a famous actor who did work as a child artist and now a hero in mainstream Bollywood movies with moderate success and some good performances). The serial now focusing more and more on the surroundings and situations which make people to act differently in order to survive. Sometimes it lead them to the wrong path. Another important thing to watch in the episode is the strong bond of friendship between Mr. Narayan and Haji Khalik. Friendship knows no personal gains, no religions, no other aspects. Just being with each other in all the circumstance to support each other and share the sorrows and joy together, are the only attributes of friendship. A great message.